We were collected early (7:15 am) from our home in the heart of the Marrakech Medina, by a driver who was to deliver us to the bus for our trip to the edge of the Sahara desert (or so we had thought), Ouarzazate. It was a revelation to be moving easily through the narrow winding alleys as the medina was waking up, when only the street sweepers, rubbish collectors, souk stall holders with donkeys or horses, bread sellers and men roaming with large teapots offering tea or coffee were up and about. 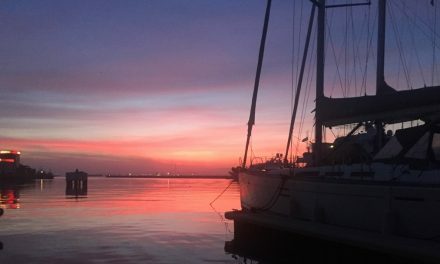 The rose pink and ochre shades of the city change with the light throughout the day and in the early morning appeared soft, almost pastel. We waited around for about half an hour whilst the 10 other tourists were rounded up and placed on the small bus before we bumped, rolled and rocked through the outskirts of Marrakech past modern buildings, incongruous golf courses, green in the red sands and roads lined with peppercorn and gumtrees, toward the High Atlas Mountains, hazy on the horizon. Outside the city we passed through small towns with a mix of ancient crumbling ruins and modern apartment blocks, all built referencing the moorish architectural history, with colours ranging from pale yellow, to brown of the earth and on through rose and russet sand. As we wound our way into the mountains covered with pine forests, villages became rarer and small fields of vegetables and other crops lined the banks of the streams, which the road followed, albeit anything from 10 metres to 200 metres above. Here hay was hand harvested, while donkeys, goats and sheep grazed. Fields often had borders of prickly pear cactus, rather than fences, while gum trees, incongruously to our Australian eyes, stood out with shiny white trunks against ochre rocks and rose coloured mud brick houses. 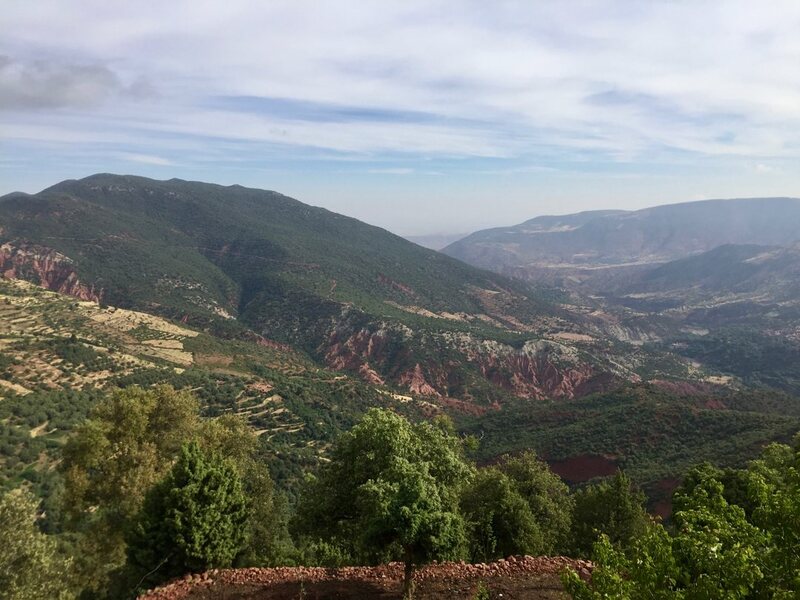 Once the ascent into the High Atlas began, we very quickly found ourselves admiring steep drop offs and jagged cliffs, which often showed striations from different sediment layers. Considering the road was only put through in 1936, by French Soldiers, it is a remarkable achievement. The canyons often come with contrasting rock types, from red sandstone to granite outcrops to blue shale. With the rise in altitude to over 1000 metres, the deep river valleys were dried out, most with just a trickle, but the evidence of raging torrents at the end of winter from snow melt was still visible. Hairpin turns, twists, narrow roads and the back of the bus combine for an interesting perspective as we see women working in the small fields which lie between the road and the stream. And of course every now and then there are road side stalls selling tagine, ceramics, barbecued shasliks, coffee, tea and lemonade. Whilst there is an air of decadence in the villages and roadside stalls, this is not reflected in the people, who seem happy to toil with their lot and the children we see are happily playing by the streams or in the fields, often with the ever present soccer ball. The road continued up over the Tizi ’n Tichka pass, about 2500 metres, where the driver stopped to allow us to step out for a photo opportunity. The Mountains from this height are awe inspiring and having been the recipients of an at times frightening trip, we are hopeful that we have passed the highest and scariest parts. However it is not long before we are once again on our way as we rock, shake, rattle and bump down the rocky road, overtaking slower vehicles on the tightest bends. In places it appears the mountains have been dabbed with a russet paint brush mixed with mauve. The contrast between the sandstone, granite and other earthy hues against the bright green plantations of cereal crops, fruit trees, ubiquitous olives and almonds is magical and helps to keep our minds (or at least Ian’s mind, Cath blissfully clicks away with the iPhone) off the possibility of a disastrous plunge into the steep valleys below. We made two stops in the course of the journey for coffee and food although to be fair, there weren’t too many takers for a meal. Stomachs were perhaps a little too tense! Finally though, we at last wound our way down to a broad valley with flat topped hills where ruined Kasbahs ruled over oases of green, strung out along the ancient river beds against the red, white and grey rocks, with the occasional date palm standing sentinel. 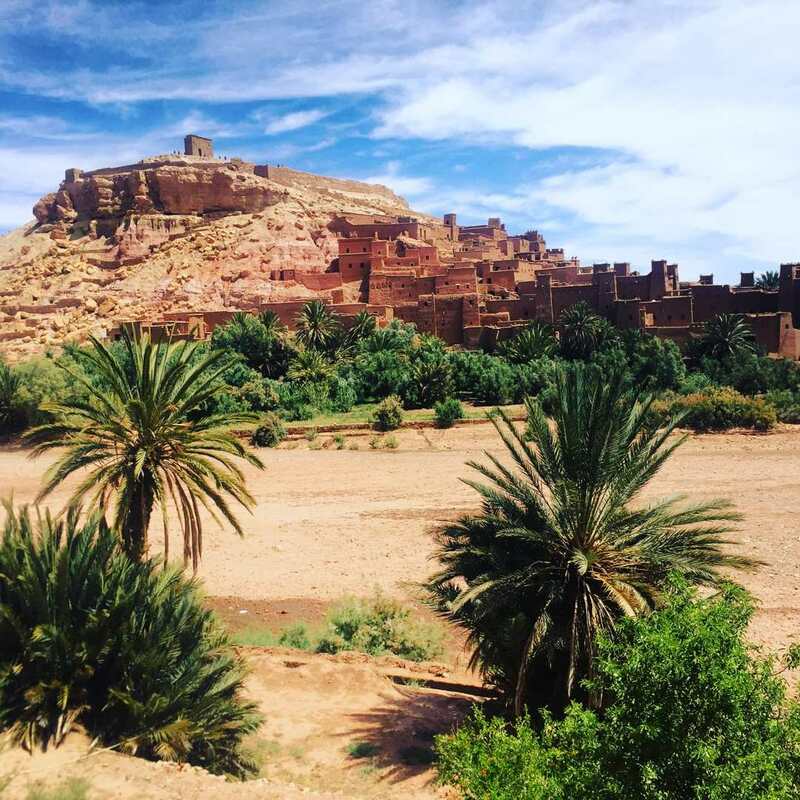 As part of the overnight “tour” to Ouarzazate, that we had inadvertently joined, there was a stop at Ait Ben Haddou, a UNESCO heritage listed Kasbah, off the road into the desert. As we arrived we were informed that the tour guide who met us for the walk into the Kasbah would be €3 per person and then we would all have lunch together at their chosen restaurant. This came as a bit of a surprise to pretty much everyone on the bus, as we had been informed that the cost of our journey was all inclusive and there would be nothing further to pay. However information is not easily disseminated in Morocco and one can never be too sure who is in for a slice of the pie. We spent an hour being guided around the Kasbah, which as it turns out, is famous as a movie set, having been used as the backdrop in numerous films, from Sodom and Gomorrah in 1963 through to Gladiator in 2000 and many more besides. The Kasbah is only occupied by a few people nowadays and the bulk of the population have moved to a village on the other side of what we were assured was a once proud river, but is now a mostly dried riverbed. Our guide was informative and the villagers were all obviously milking the Kasbah for all it was worth and to be fair it is worth a visit. After the tour we were taken to a two story restaurant on the village side, where we sat down to a pedestrian meal with a bottle of coke. 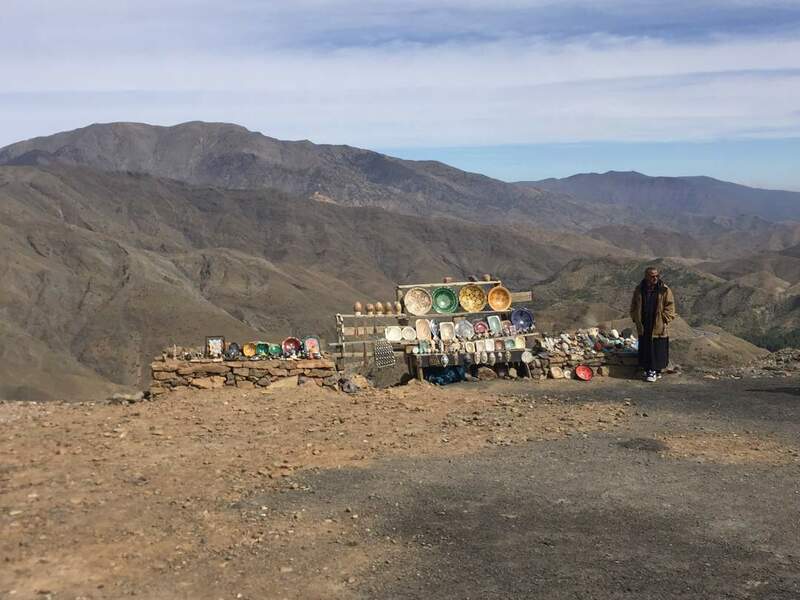 We were all fairly unimpressed to be hit up for another 120 dirhams (about €12 each) before once again boarding the bus for Ouarzazate. 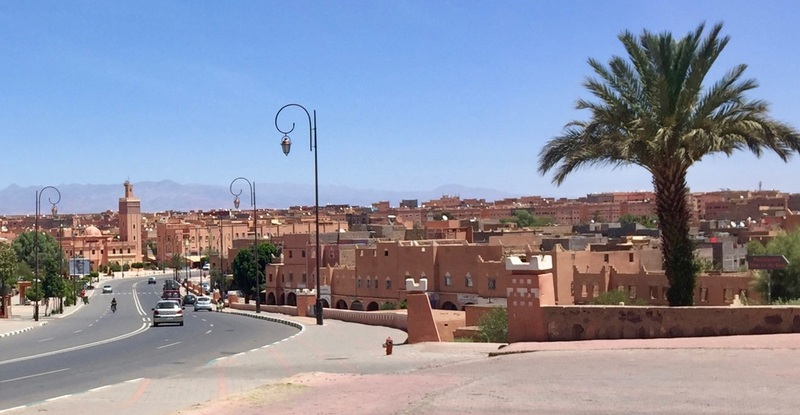 The rest of the journey to Ouarzazate was through fairly tired, flattish, red sandy desert and so it was something of a surprise to find ourselves rolling into a town that has become synonymous with the movie industry in Morocco. Large studio lots line the road into town and numerous sets could be seen from the bus. Apparently tours of these studios is part of the reason tourists like to come to Ouarzazate, which is not really up our alley. The city turned out to be quite different to anything we had seen before in Morocco. There were wide sweeping boulevards, lined with ancient trees and in general the town was well planned and spacious. We were deposited outside the movie industry museum, where we took our leave of the tour group, as we had arranged to stay in a hotel complete with a swimming pool for our overnight stay in Ouarzazate. Being tired and parched after a long day we were looking forward to a dip. 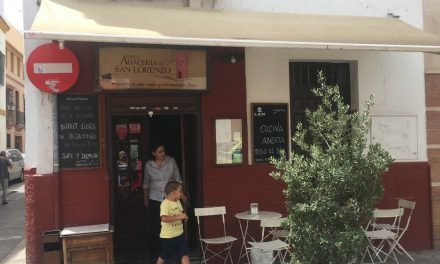 After a few enquiries we managed to organise a taxi and next thing we were being ferried through the pleasant streets, out onto a major boulevard and across a broad dry riverbed to the other side of town…. 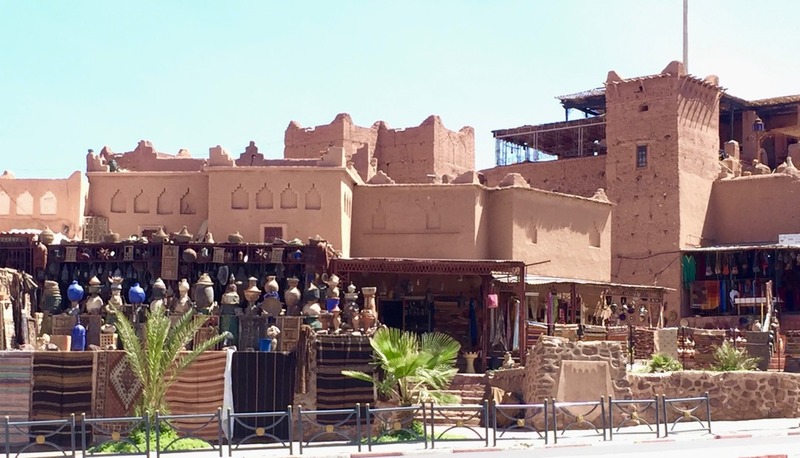 It was with increasing dismay that we saw the pretty parts of Ouarzazate disappear as we turned off onto a bumpy dirt track, through some ramshackle buildings to arrive at what must surely be the poorest hotel we have ever stayed at, the Maroc Galacx. More and more we are amazed that business owners and the booking sites (Booking.com, Expedia, Trip Advisor) get away with this behaviour. It is a scam and we are so glad that AirBnB and others like it exist. From the outside it appeared to be just another nondescript Moroccan building and once we had aroused the caretaker, who opened the gates, we found it to be not much better. The pool had clearly seen better days, but the view of it was largely hidden by the washing the caretaker’s wife had hanging on the intervening fence. We were initially informed that he had only chlorinated the pool a little earlier and it was not ready, however after a mint tea and conversation we were told we could go for a swim. You can imagine our disappointment then, when entering the pool area, we found there were little insect larvae wriggling about and the pool colour was decidedly cloudy. We settled for dipping our feet in, which may not have been the wisest, Cath was in need of some foot cooling though as she had forgotten to apply sunscreen and sunburnt her feet. Ouch! (HINT always wear sunscreen with thongs in the desert). As it turned out, we were too exhausted to bother finding out how to get to a restaurant for dinner and went without. We were up and about pretty early the next morning, ready to head into the city and find some breakfast. We had decided to walk into the city of Ouarzazate, find a cafe and then explore further before the bus trip back to Marrakech. We were admiring the architecture and cool tree lined streets when we stumbled across a cafe full of policemen and soldiers. Cath immediately assumed it was the best place to grab breakfast, as in Australia the emergency services are a pretty good guide of excellent cafes. And it was fabulous! As we were not really that interested in the movie museum we spent the morning meandering around the small market, purchased a couple of goodies to take home and tried to escape the 45C heat. The heat must have gotten to us as we made a silly tourist mistake for lunch and were disappointed in both the price and quality of the meal at the restaurant located right next to the movie museum. It was a long afternoon drive from Ouarzazate to Marrakech and were glad to be welcomed back to our homely Riad. On reflection we should have been better prepared for the trip and done a bit more research, in which case would probably have stayed in different accomodation and perhaps extended our trip to actually visit the Sahara, not just the city at the edge. If you enjoyed this post, please share using the social media buttons below & if you want more information, leave us a comment below and we will get back to you. So sorry to hear about your booking problems and stay in Ouarzazate. The journey seems fascinating, and the trek on those roads looks amazing and a little scary. What an adventure. Hi Lance, thanks for reading and commenting. Sometimes things aren’t perfect when travelling but that is all part of the adventure, right? Marrakesh is one of our favorite places so far! 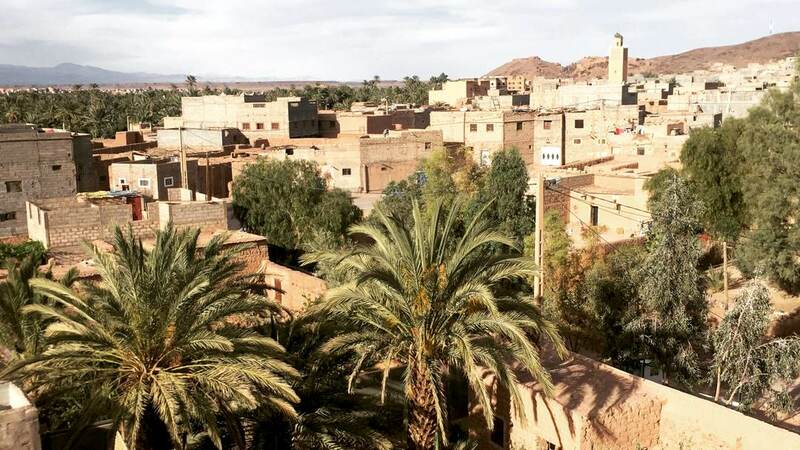 We’ve decided to explore the Medina and the new town, missing the opportunity of a desert experience which we have to do it once we go back there 😀 Great post, thanks for sharing! A great honest article, I love how you haven’t glossed over everything and stayed true to reality. I would love to go to Morocco one day and even more so now. Wow this post excited me because I spent this past weekend investing soooo many hours in researching a potential 2019 group trip to Morocco! I appreciate your honesty about the experience you have in Marrackech and I’m pinning this for future reference. Thanks! Hi Aisha, thanks for reading and your comments. Did you get a chance to check out some of our other posts about our trip to Morocco? We hope you have an awesome trip! Marrakech looks fascinating with its traditional buildings and beautiful natural vistas. The night experience at the hotel was frustrating though, especially after a long tiring day. It’s a shame that business owners get away with such behaviour and no one takes the ownership. But I’m glad you enjoyed the rest of your trip. Thanks for sharing helpful tips. 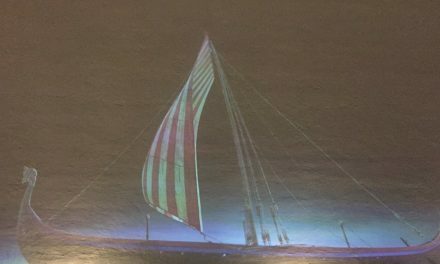 This looks like one fantastic adventure! So, if time wasn’t an issue, how long would you suggest as the perfect amount of time to spend in Morrocco? Hi Carlos, thanks for your question. I think you could easily spend a month in Morocco, we could have used more time to see the desert and more of the coast. Are you planning a trip? We went to Ouarzazate when we were on our way to the Desert with a trip in Morocco. We were conned into paying for a tour around, then taken to a crazy expensive restaurant that the drivers obviously got commission for. Glad it wasn’t just us! I would love to visit Morocco sometime but I think I would have to really delve into research because I hate the feeling of being unprepared or caught off guard by a local’s hustle. I’m glad you shared both the good and bad bits of the trip because we could definitely learn from your experiences! I’ve never been to Morocco before. I really like how you described everything with so much detail. I really helped me visualize everything in your story. Sounds like an exotic and ablolutely magical. Love going through your travel experiences. What a great writing. I always enjoy reading your tales about beautiful places you visit. 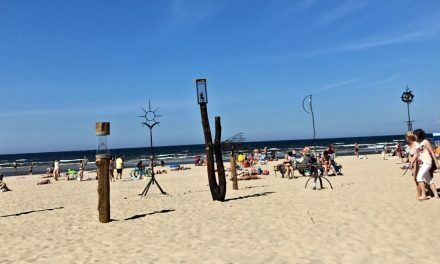 Visiting any new place has some pros and cons to it, either it is transportation, hotel, or food, but that is what makes your trip a memorable one. I travel to all the wonderful places through you and I am eagerly waiting for your next trip. Your writing is captivating! Felt as though I was there with you. Definitely adding this to my bucketlist! Love getting to explore it right along with you. Keep sharing your stories! Wow this place looks absolutely magical, I need to visit! Wow! It’s an interesting article. That’s right! Online booking game have made the things look so lurcative and people often fall in trap for easy and comfortable way of traveling. While trying new places it is always good to be sure to try new places of staying as well. That adds adventures and also tests the power of human instinct. No doubt Airbnb is providing a kind of better platforms for travelers.